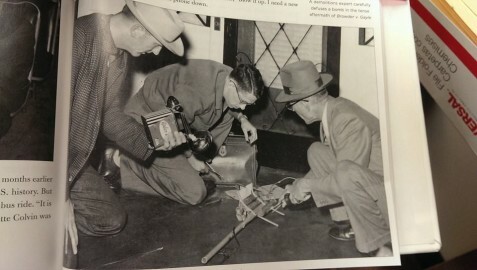 Vann Pruitt was the hero of Reddit yesterday, Martin Luther King, Jr Day, because his grandson, HydraHatRack (family name), posted a photo of him being the hero of whatever day it was he was called upon to defuse or dismantle or de-something a bomb placed on the Montgomery porch of Martin Luther King, Jr in 1955. We’re presuming it worked. He was, after all, an Auburn grad. And the Kings later had him for coffee. That’s him in the middle. Pruitt was only 23, just two years out of Auburn. Like most Auburn men, he didn’t like to brag. According to HydraHatRack, his family barely knew anything about Grandpa Vann’s bomb dismantling glory days. “My uncle only discovered it (the photo) after watching an MLK Jr. documentary and seeing his dad in one of the pics,” HydraHatRack wrote. 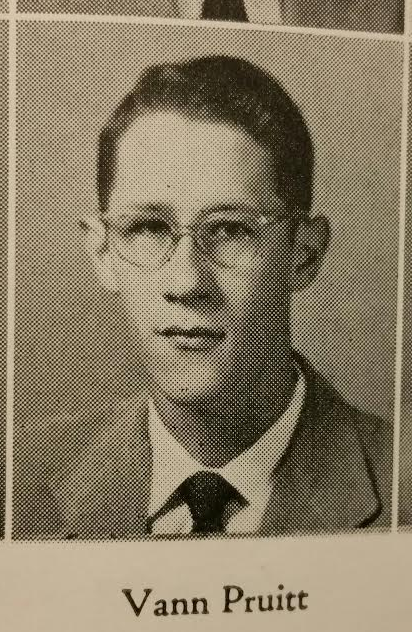 Pruitt graduated from Auburn with a pharmacy degree in 1953. 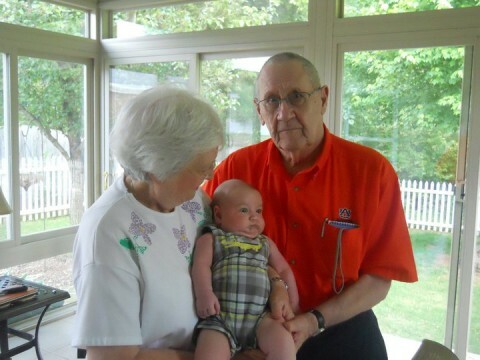 He passed away in January 2012—he was actually buried on MLK Day—at the age of 80, but not before becoming the first head of the Huntsville crime lab (that now bears his name), establishing the Huntsville Police Academy, and being inducted into the Alabama Peace Officers Hall of Fame. And again, that whole bomb thing. Here he is during his senior year at Auburn. And here he is during his senior years in an Auburn shirt. Related: Foy Information Desk swamped with calls after phone number goes viral on Reddit. Wow! I knew him from church when I was a student in the 90’s.